The Southern Poverty Law Center (SPLC) created SIFI and it's going to be really exciting for me to return to work with this organization in the deep South, where I spent time as a law student suing the state of Alabama and gathering data on abuses of immigrant workers at poultry plants. 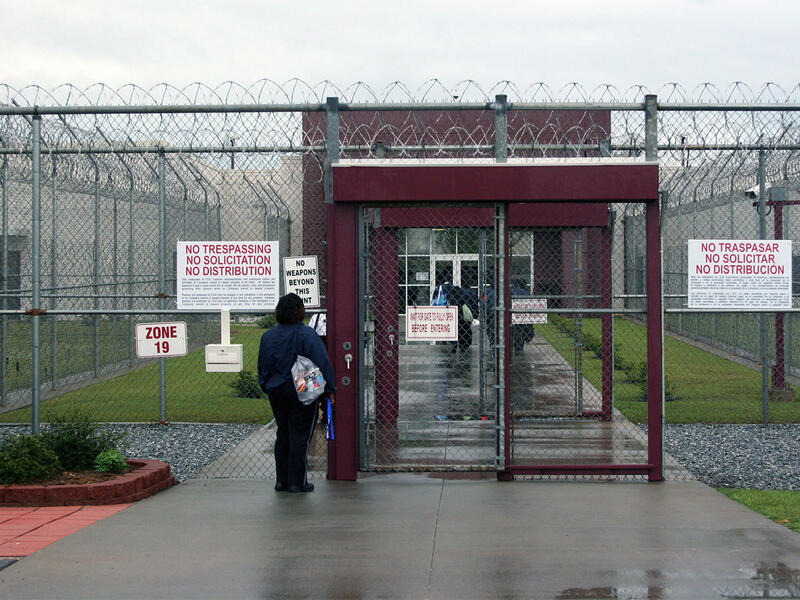 Now, I am volunteering my legal services for a week to help get immigrant detainees out of this massive private prison, where only 2% of asylum cases are granted (much lower rate than other courts) and there are almost no lawyers available in the surrounding area (2.5 hours away from Atlanta). Stewart Detention Center is a private prison, run by the former Corrections Corporation of America (now called Core Civic), that huge company that saw its shares soar after the presidential election last year. As a lawyer, I will interview detainees to screen their cases, prepare applications for parole, and request and conduct bond hearings. SIFI is conducting Phase 2 of their initiative, to focus on getting people released from the Stewart detention center (to fight their cases on the outside). Winning release from immigration detention on bond, or through a grant of parole, will drastically increase someone's chances of eventually winning their immigration case and avoiding deportation. This project is special because immigration detainees in prolonged detention, especially in the deep South, have long endured outrageous abuses and denials of due process, but have been last on the list to receive assistance, partly because of their extreme geographical isolation and lack of access to lawyers. Many of the men at Stewart represent the immigrant low-wage workforce sustaining our economy, and some have recently come to the U.S. seeking safety. The article above gives an excellent picture of "the black hole of the immigration system." There will be more updates coming on the blog about the week of work at the Stewart Detention Center with SIFI. Please reach out to me directly if you have questions or would like to get more information about hiring me to represent someone who is detained by immigration (ICE).